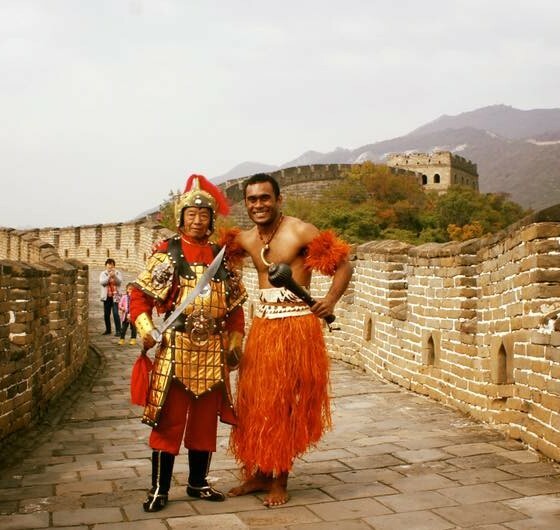 VOU Fiji – Bringing Pacific dance to the world. Energy! Spirit! Mana! VOU is an explosive and vibrant Pacific experience that transports you to our island paradise, rich in ancient stories, tradition and culture. Through the medium of live music and dance, VOU (meaning new in Fijian), is the blending of old and new, traditional and contemporary. VOU delivers traditional storytelling through the media of contemporary dance and music showcasing VOU’s unique signature. VOU is Fiji’s most versatile and internationally renowned performance Dance Company that has performed hundreds of shows across Fiji and abroad showcasing a wide range of styles from Pacific, Bollywood, and traditional Fijian meke to Contemporary, Jazz, Ballet, Ballroom dancing and many others. “…are we stronger than Winston proved to be a powerful raw piece of theatre. Exceeding my expectations and sparking a new interest in contemporary dance as a way of expression it is a show that has something to say and a beautiful expressive way of saying it”. The VOU School offers 4 terms (of 8 weeks) per year in both Nadi and Suva, and has the highest standard of arts education available in Fiji to all ages and all abilities. Dance courses include Contemporary, Hip hop, Jazz, Ballet and cultural forms of dance such as Fijian Meke, Pacific Dance and Bollywood. This is the modern Fiji. NOW. Fiji’s most innovative contemporary dance work to date.